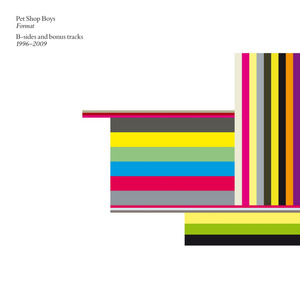 On February 6 a new Pet Shop Boys album, Format, is released, a collection of b-sides and bonus tracks from the years 1996 to 2009. (As such, it is a sequel to Alternative.) Chris noticed the word that became its title on the side of a large industrial shed somewhere in Scandinavia; the album does, of course, gather together songs that were released on the various ever-changing single formats over these years. “If you compare it with Alternative, I think the quality is as high, if not higher sometimes,” says Neil. On March 25 a revised version of the ballet The Most Incredible Thing begins its second run at Sadler’s Wells before two performances in Austria. 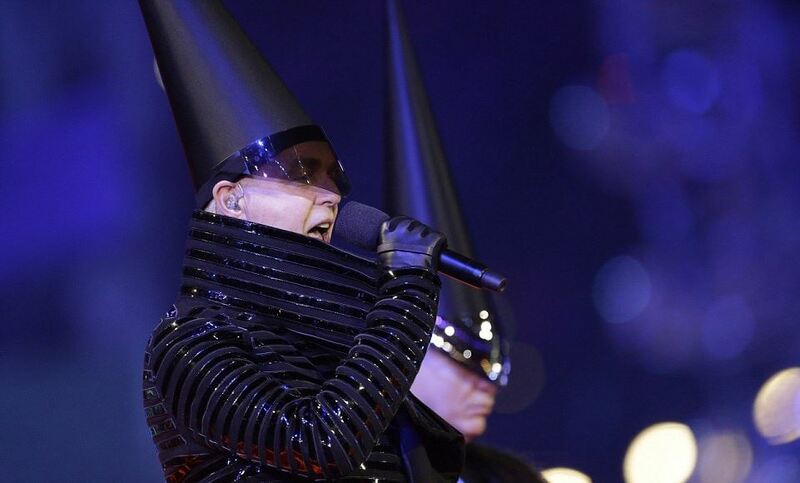 On June 6, a video for a new song, “Invisible”, appears on the official Pet Shop Boys website and many other websites. “We just wanted to surprise people with a new song that gives them a taste of our new album and a video which really illustrates the song,” says Neil. The video is by Los Angeles-based artist, Brian Bress and a version of it, with no sound, was originally shown at his show in a Los Angeles gallery earlier in the year. 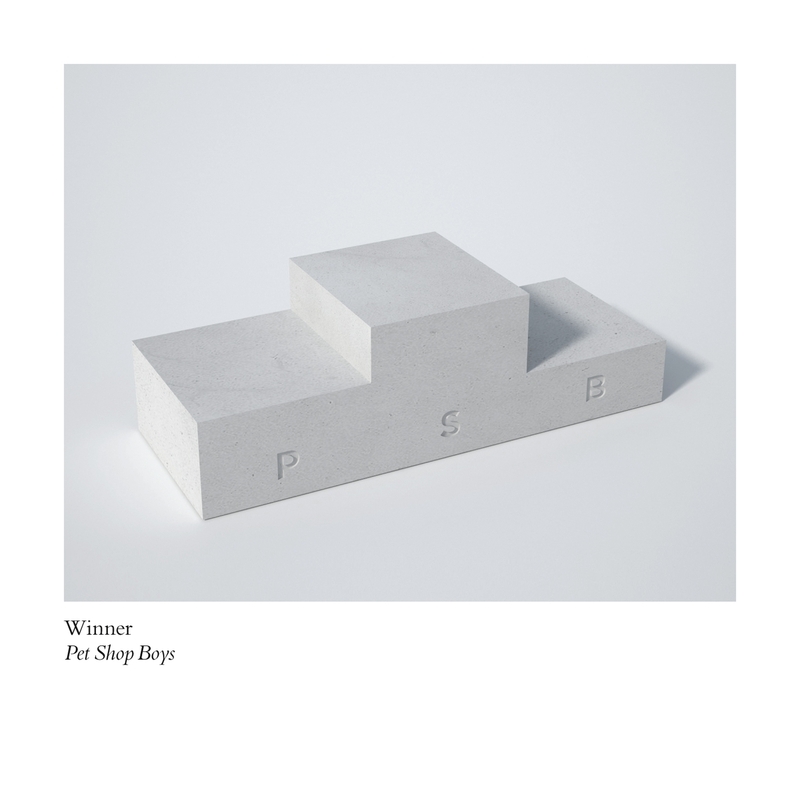 On August 6, a new Pet Shop Boys single, “Winner” – a song written during Take That’s stadium tour the previous summer after Chris suggested that they wrote a mid-tempo anthem – is released. “It’s about being in something like the X-Factor or Eurovision song contest – coming from nowhere and finding yourself a winner and the crowd is all cheering,” explains Neil. “Part of me was also thinking about when we got to number one with “West End girls” and we were winners, and I was wondering whether it was going to last. And Chris saying at Top Of The Pops when we were number one: ‘Don’t look triumphant.’ It’s a transience-of-fame song, really. It’s also saying: it’s not where you’ve got to, it’s how you got there that counts. It’s the camaraderie that is the really enjoyable thing, rather than just the blatant success that probably isn’t going to last.” While in the studio in May to recording extra tracks for the “Winner” single, the Bee Gee Robin Gibb died and the Pet Shop Boys immediately recorded “I started a joke”, a song Gibb wrote when he was seventeen, as a tribute. On August 25, after several previous false finishes, the very final date of the Pandemonium tour takes place over three years after it began, at the Rått og Råde Festival in Stavanger, Norway. The night before Neil and Chris had played their first ever concert inside the Arctic circle at a festival in Tromsø. 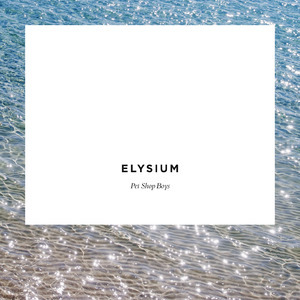 On September 10, a new Pet Shop Boys album, Elysium, is released. It was recorded in Los Angeles earlier in the year and its title came late in the recording after a photo session in the Los Angeles park Elysian Fields. “All the connotations seemed to work for the album. But also particularly we were obsessed with the fact that this is our most beautiful album. It’s a very beautiful title and also seems to be relevant to the themes of the album: love, death, paradise. Even L.A., of course.” The album is produced with Andrew Dawson whose work the Pet Shop Boys first noticed on Kanye West’s album 808s and Heartbreak. “I think some people thought when we were going to Los Angeles to work with Andrew Dawson that we were going to record a hip hop album,” says Neil, “but it’s still very much a Pet Shop Boys album. It’s got a lot of depth, that’s what I think about it. It’s got a lot of truth. It’s really about negotiating life at our age.” The deluxe and vinyl versions also include instrumental versions of all of the songs. On December 5 the Pet Shop Boys play a one-off concert at the BBC Media City in Salford, performing an eclectic selection of current and old songs accompanied by the BBC Philharmonic Orchestra. The concert, broadcast the following day on BBC Radio 2, features the premiere of one piece, “He dreamed of machines”, from their work-in-progress about the late British scientist, mathematician and code-breaker Alan Turing, A man from the future. 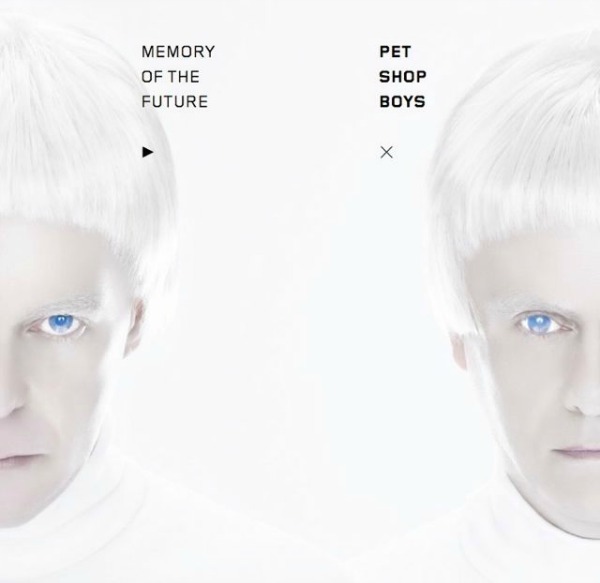 On December 31, a new Pet Shop Boys single, “Memory of the future”, is released in a version substantially remixed (the song has been both restructured and sped up) by Stuart Price and the Pet Shop Boys. “It’s a straightforward love song,” Neil explains. “You don’t get many from us,” Chris notes.